A.P. 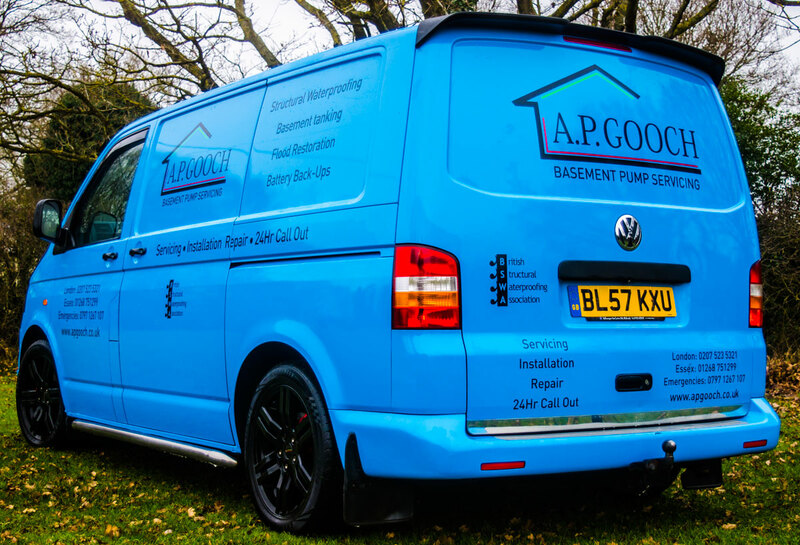 Gooch Limited are experts in basement waterproofing installations and installing and maintaining basement pumps. We are not a large national company and whilst we are well organised and highly efficient bureaucracy, red-tape and formality does not exist in our workplace. We are a small company employing between ten and twelve people at any given time and are thus able to provide a personal and friendly service with client consideration and satisfaction being a main priority. Because of our size, minimal overheads and efficiency we are able to offer installation prices considerably less than our larger competitors. We are approved installers of leading basement pump manufacturers including Delta, Triton and John Newton. We are also employed by the private sector directly, builders, architects, numerous other commercial clients and both manufactures and insurers the latter for the purpose of system correction and repair after system failure which has been applied by others, such is our knowledge and expertise. Unless otherwise stated or requested all of our installations are carried out in accordance with B.S.8102 (The British Standard code of practice for protection of structures against water from the ground). Our managing director Tony Gooch is the core of the business with over 20 years experience and looks after the general day-to-day running of the business.